A hundred of millions years ago, our earth was completely covered with saltwater. From this, all life evolved. Only in the salt of the primeval sea are the minerals and trace minerals bound in cell-available form. "There must be something strangely sacred in salt. It is in our tears and in the sea." This allows the body the necessary intake of sodium chloride, potassium, magnesium and calcium. Without those "fuel of life" cells could not divide and nutrients could not be converted into energy. The sea salt offered to us today consists of pure sodium chloride and is partly mixed with iodine and fluorine. It no longer contains the "fuel of life". 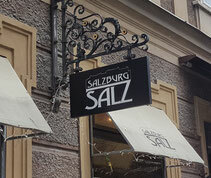 Salzburg Salz offers you the "spice of life" natural, plain and without additives. Salt, as it was created in ancient times and now is an indespensable part of our diet. Get to know different natural salts from all over the world! 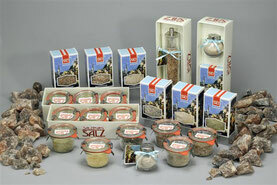 Our employees are happy to introduce you to the variety of austrian rock salt, international and exquisite natural salts and their use.